Sportcal, the leading provider of news and intelligence to the global sports industry, will be announcing its latest edition of the Global Sports Cities and Nations Index at the World Travel Market in London on November 3rd. The World Travel Market is the leading global event for the travel industry attracting over 50,000 visitors every year. Sportcal will be presenting the two indices as well as their recent publication, the Global Sports Impact Report 2015 ahead of a session on Sports Tourism Innovation for Destinations & Events. Russia was the leading Global Sports Nation in 2014, followed by Canada and the UK, whilst London was the top Global Sports City, followed by Moscow and Tokyo. The two indices analyse the hosting and bidding of major sports events over a rolling 12-month period, six years in the past and six years in the future. More than 75 nations and 500 cities are analysed in the index. The data is calculated from Sportcal’s Events and Bidding services, which provides information on events that have either been hosted, awarded or are available for bidding. The Global Sports Nations and Cities Indices have become the industry benchmark for hosting of major sporting events, and are part of Sportcal’s Global Sports Impact Project. The GSI Report 2015 analyses the impact of over 75 world championships and multi-sport games in 2014 one aspect of which is sports tourism. 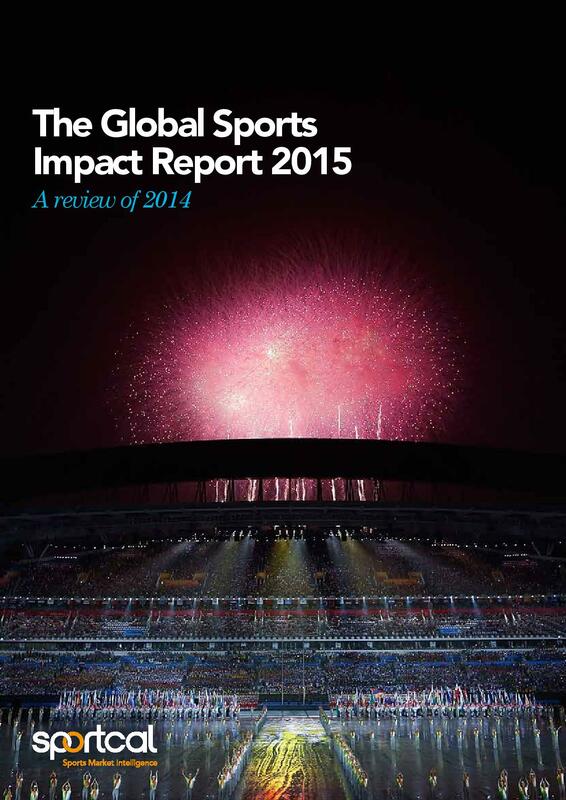 Over 13 million spectators attended the major sporting events in 2014 analysed by the GSI Report whilst 400 million spectators attended a selected group of 50 sporting properties in 2014. As the GSI Report explains one of the fastest growing sectors of tourism is sports tourism and the report estimates that figures for sports tourism are frequently understated due to the lack of good data on the people attending major sporting events.